Twenty years ago, we released our first two VHS videos: Long-Haul at London and Eurolink. Over the last two decades, advances in video technology have made it possible to sharpen, stabilize and otherwise improve those images in ways unthought of back then. As a result those twenty year-old images, digitally re-engineered on this DVD, have a clarity and quality far exceeding the original VHS version. 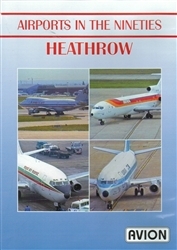 They had divided the material between wide-bodied and narrow bodied aircraft at both Heathrow and Gatwick, but this DVD has all the Heathrow aircraft in one program. 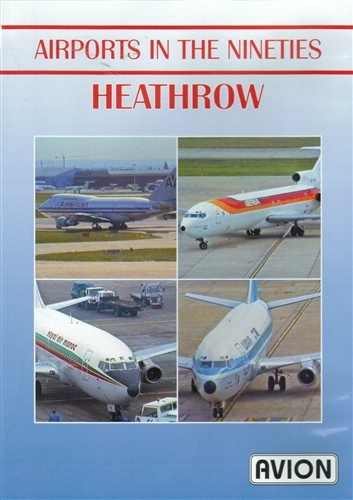 In the early nineties, Heathrow was dominated by the 747, as far as long-distance routes were concerned. The 747 Classic was still very much in British Airways' service, including some ex-BOAC series 136s, as well as with carriers such as Air India and United. Best of all, United's 747SPs and one of American's very rare examples are seen here. Shot from the spectator terrace, the DVD is a reminder of the time when the second generations of both long and short-haul jetliners were in their prime.